You are browsing the archive for MVP. I am very proud to be able to announce that we will be able to host a Unique OpsMgr 2007 R2 training event in Belgium. Is the average training not meeting the depth of technical content you need? Would you like the receive your training from someone that received the prestigious MVP Award? Wished you could receive training from someone that co-authored a book on the topic he is teaching? Are you looking for real 400 level training? Want training from a consultant with plenty of real-life experience? Ever wished you could receive training from the folks that gave those sessions at Teched (Us or Europe), MMS, Techdays ? Here is your chance! The System Center Operations Manager 2007 R2 bootcamp organized by Infront Consulting & RealDolmen. 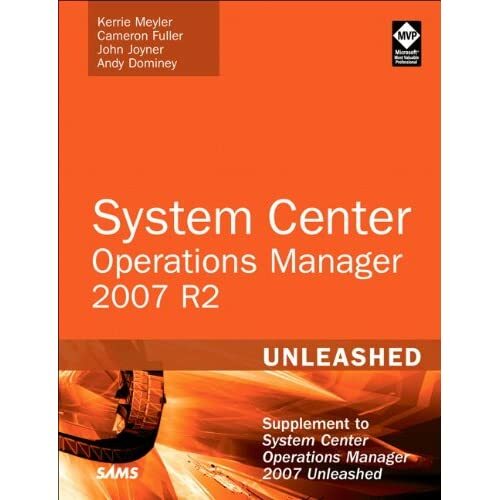 This class begins with an introduction to Operations Manager 2007 R2 followed by a detailed architectural discussion that explains how to design your Operations Manager 2007 R2 environment details how all of the communication occurs between components. Next students will walk through an advanced installation of Operations Manager 2007 R2 and learn how to install the database, Root Management Server, additional Management servers, a gateway server and run through the deployment of agents. (both Windows and non-Windows) Once the setup is complete, the students will perform other critical post installation configurations. Attendees will also learn about the issues involved in migrating from SCOM 2007 SP1 to R2. The discovery of non-Windows devices and operating systems is also explored as are overrides, diagnostics and recoveries, notification configuration, and the Operations Manager Shell. This unique 4day training event will take place from Tuesday the 18th of May till Friday the 21th of May 2010 included. Class will be from 9 AM till 5 PM, with a break before and after noon and lunch at 12:00 AM. This event will take place at the training facilities of RealDolmen. The course will cost 2150 € (Excl VAT.) for the 4 day training including lunch. Please be advised that seats are limited!